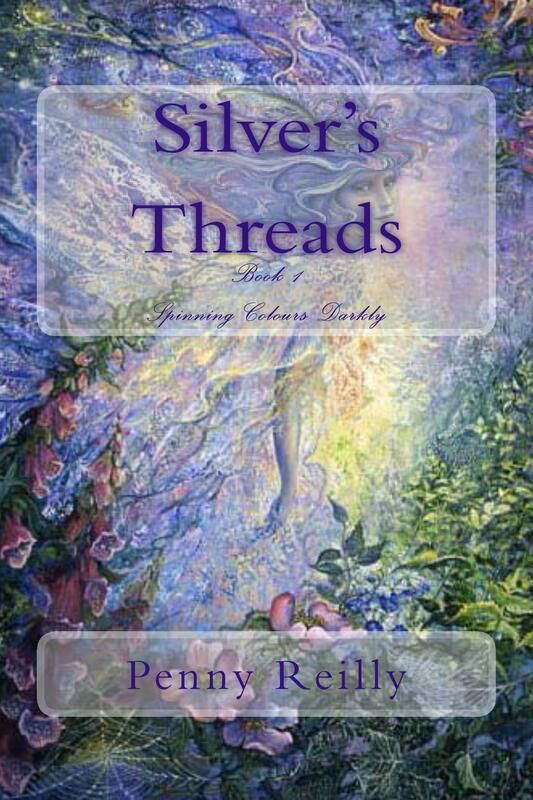 ….Silver’s Threads, Book 1….Spinning Colours Darkly has been long in the cauldron of creation…and as the title depicts, it has been a time of weaving and spinning colours with words…finding threads to follow…and at times, getting lost in the intricacies of other realms as they construct new threads to pull on and knots to unravel. …what if someone could fall off the edge of their own personal tapestry of life…disappear into uncharted places…hiding from sadness perhaps…and what if, mirroring that sorrow, a small being of light could become corrupted by the pollution of earth; falling through the time space continuum lost and confused. If other realms are affected how would our world respond…would we fall into chaos or would we finally look for solutions? …the discovery of strange and ancient bones, hidden in the mud for centuries, found in a landscape of secrets on the Plains of Holderness in Yorkshire. …a grove of Wytches gather on a sacred mount in Australia to celebrate the Mabon Rite but something is very amiss…strange forces are at work that go beyond mortal understanding. …with four young women and the fifth; their teacher, a seer a Wytch and a Wise Woman, who has trained the four in the Wytchways. and who has vanished inexplicably and with all their combined skills they need help from the other realms to discover where she is. All they have are a set of cryptic instructions to be deciphered. …one of the four must change her understanding about how the world works…one must learn the tools of her trade anew…one must learn to trust that Magick is real and one must find the answers to their teachers disappearance by travelling to other realms where the Old Ones walk. …a tale of the Wytchways…the Craft of the Wise…how ancient Rites can be a tool to re-weave this world to harmonise with other realms and into oneness with all life. …the Birthing Tree is the place of soul renewal…all must return here but with the fall of an ancient immortal the web of life has been torn; the Tree is wounded casting a blight that echoes throughout all the realms. …within the twists and turns on the warp and weft of time the young women meet other aspects of themselves, where clues are hidden and find within those clues the secrets of other worldly lives, connections to each other and even ancestry. This will weave and re-weave their stories together and apart throughout the Skeins of Tyme to manifest a new way of living…for one of the things humans fear the most is that…Magick might indeed be real and it might be hidden within each of us. What a wonderful mixture of storylines, I won’t be able to put it down & will drive u nutty for book 2. I’m ever so happy to hear there may be 5 books YAY! …thank you Ursa and Nicki…send me your address and I will send you a copy direct…a special gift to my two of my three favourite nieces in BC!! Congratulations!!!!! All tha hard work is finally paying off. Now you can take a small break, take a deep breath, jump up and down. Now time to get back to work on book two:) congats agian you deserve it!!!!! …thank you Mel…blessings to you too ! !